"Seeking out innovative new experiences and technologies centered around audience engagement has been a core investment focus for aXiomatic since day one," said Bruce Stein, aXiomatic's co-founder and CEO, in a statement. "Niantic has proved to have a singular touch when it comes to developing communities — both virtual and real-word, global and local — and keeping players engaged, interested and entertained. We're looking forward to playing a part in powering that innovation for communities and years to come." More than two years after the augmented reality phenomenon broke onto the scene, Pokémon GO remains one of the top grossing mobile apps, ranking #11 on the App Store and #2 on Google Play according to App Annie. While other location-based games have not yet approached the level of success that Pokémon GO has achieved, pairing the pioneering developer with another popular intellectual property giant in Harry Potter certainly seems like a sure bet. By parlaying that track record into another funding round, Niantic will be able add more resources to speed the development of the Niantic Real World Platform, an AR cloud toolkit that enables developers to integrate shared experiences, persistent content, and real world occlusion into their apps. "We continue to be focused on delivering on our mission of bringing people together through experiences that marry advanced technology and the real world," said John Hanke, co-founder and CEO of Niantic. "This funding round adds financial and strategic support as we focus on doubling down on that mission with our platform, and building upon the popularity we've established in recent years as we grow our portfolio and offerings." The platform is already working to facilitate the Adventure Sync feature in Pokémon GO and the reboot of Ingress, but Niantic is also looking allow other developers to use its Real World Platform. In fact, to generate interest from developers, the company has offered a $1 million bounty for innovative apps built on the platform. 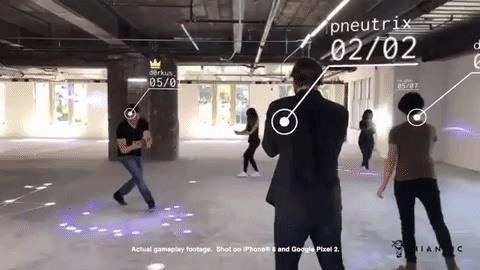 With competing offerings from startups 6D.ai and Ubiquity6, this latest capital infusion gives Niantic a boost toward getting its flavor of the AR cloud out to developers. Moreover, the new funding gives the company the resources it needs to continue nurturing the AR ecosystem through its own strategic investments, as it did last year by investing in smartglasses display maker DigiLens. By pushing the potential of consumer-grade AR wearables closer to reality, the company also expands the revenue potential of its AR apps, as well as those built on its platform.